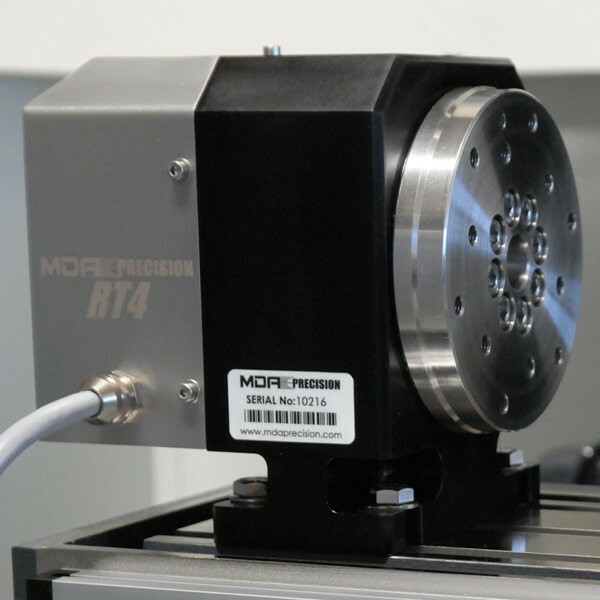 The RT4 4th Axis Rotary Table is a compact CNC rotary table offering rapid, zero backlash rotary motion using maintenance free Japanese Harmonic Drives and Crossroller Bearings. It is engineered and built here in California with all aluminum and stainless steel construction.A rotary seal allows for operation with liquid coolant and an integrated Homing Switch provides a repeatable reference point. 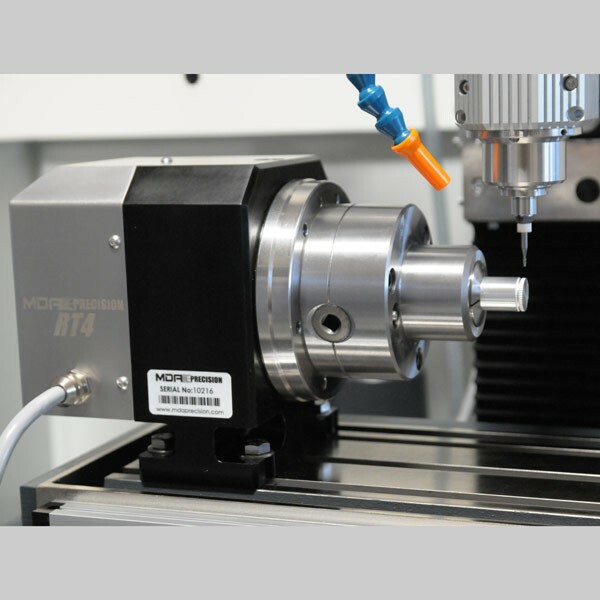 A number of different workholding accessories are available such as 3 and 4 jaw chucks, 5C collet chucks and two jaw chuck(see below accessories tab). 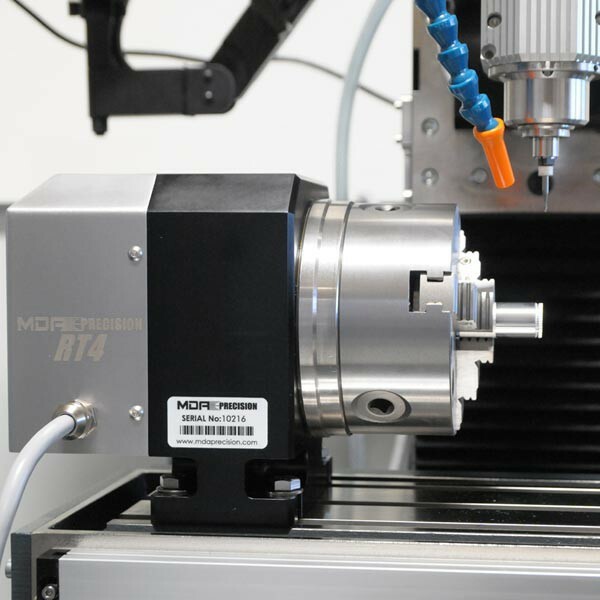 This CNC 4th Axis can be purchased separately at anytime and is plug and play ready with any of MDA Precision's CNC Milling machines. Available with Servo or Stepper motor. 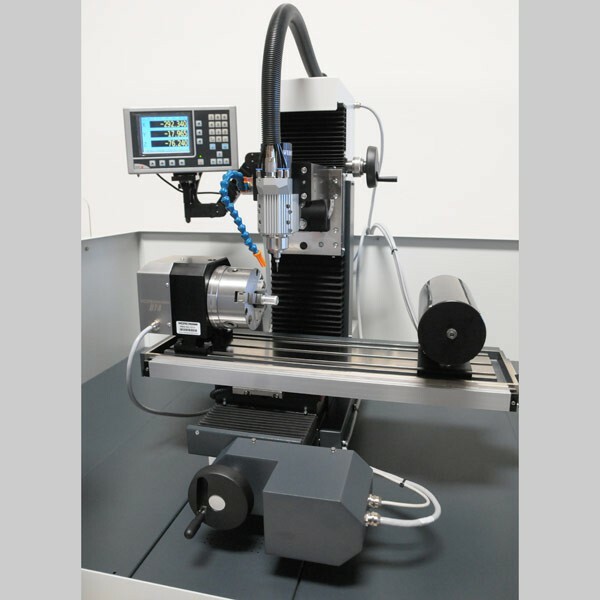 The RT4 4th Axis Rotary Table is a compact CNC rotary table offering rapid, zero backlash rotary motion using maintenance free Japanese Harmonic Drives and Crossroller Bearings. It is engineered and built here in California with all aluminum and stainless steel construction.A rotary seal allows for operation with liquid coolant and an integrated Homing Switch provides a repeatable reference point. 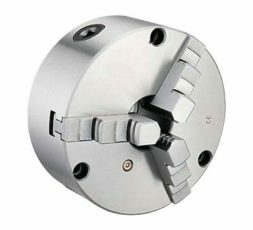 A number of different workholding accessories are available such as 3 and 4 jaw chucks, 5C collet chucks and two jaw chuck(see below accessories tab). This CNC 4th Axis can be purchased separately at anytime and is plug and play ready with any of MDA Precision’s CNC Milling machines. 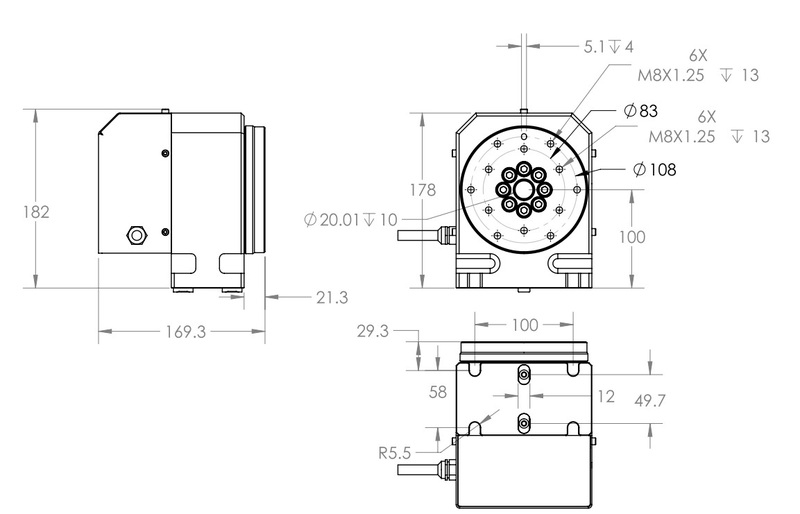 Available with Servo or Stepper motor.